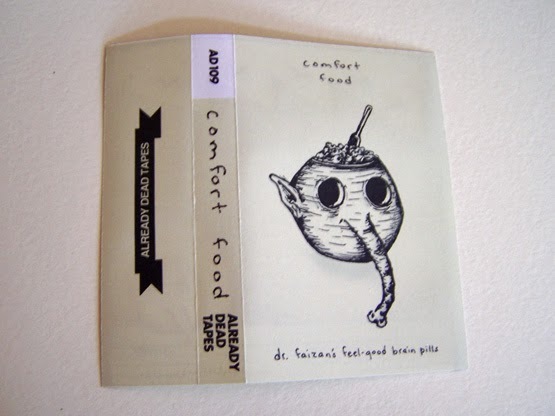 ` Only this year was I made aware of the band called Warm Soda and now I find myself with Comfort Food. I like the fact that people might see this on a poster somewhere (Hopefully outside of a gym) and wonder what kinds of food would be available. Everyone seemingly has different comfort foods, right? Sure, sweets are popular with cookies, candy and ice cream, but other people probably have other things—even certain vegetables or fruits as their comfort foods. For me, my comfort food depends upon my mood. 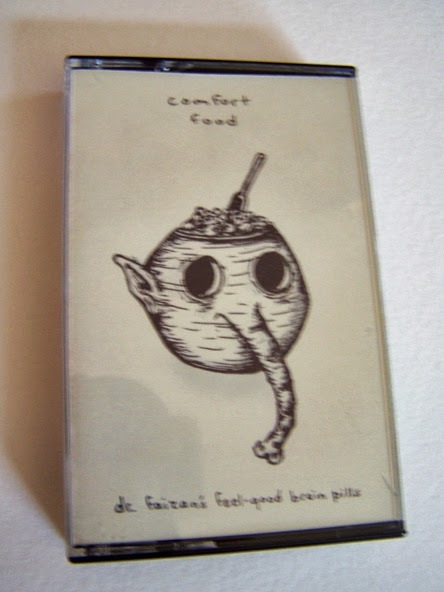 I need different foods for different feelings, and in a lot of ways that’s what this cassette reminds me of most. There is some really excellent drumming on here as well as audio clips about the bones of the human body. A few different bands come out, but nothing major, and there is also some pretty good tambourine work, but that is under the category of percussion, right? 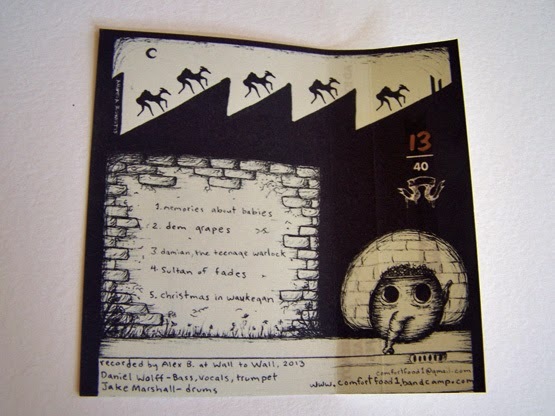 There is some funk, like with a saxophone, and then there is also a certain amount of math rock mixed with what can only be described as Stomp. It took a while, but vocals do come out and at one point I can only describe them as sounding like Fred Schneider trying to cover System of a Down. 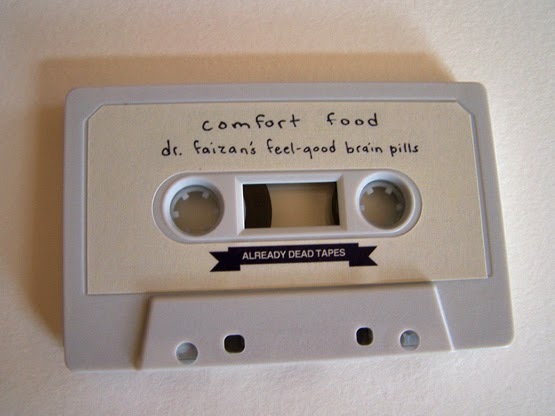 Whatever your mood, whatever your food, Comfort Food is sure to cure what ails you. 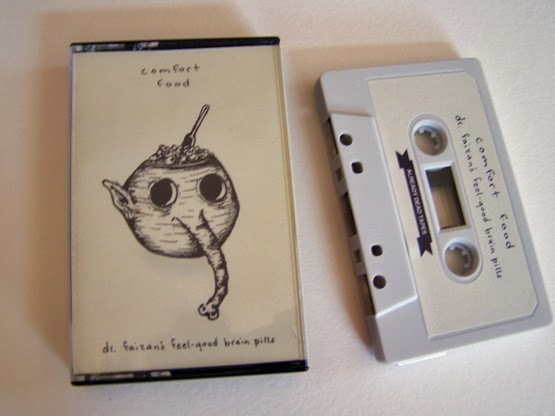 This a great cassette that is diverse yet at its roots tied together, much the way the literal comfort food of people is as well.